Is it only a baby one ?? Wow.....what a colour of this bird.....nice....s h o t Cole!!!!!!!! Nice shot. Looks like a baby bird. what a cutie, love it. Lovely and very interesting bird. I love this little baby! Wow what a fantastic capture. I am still trying to get a really good shot of a cardinal. I love cardinals! We dont have them in NZ. Very sweet shot with nice colours. Fabulous shot. 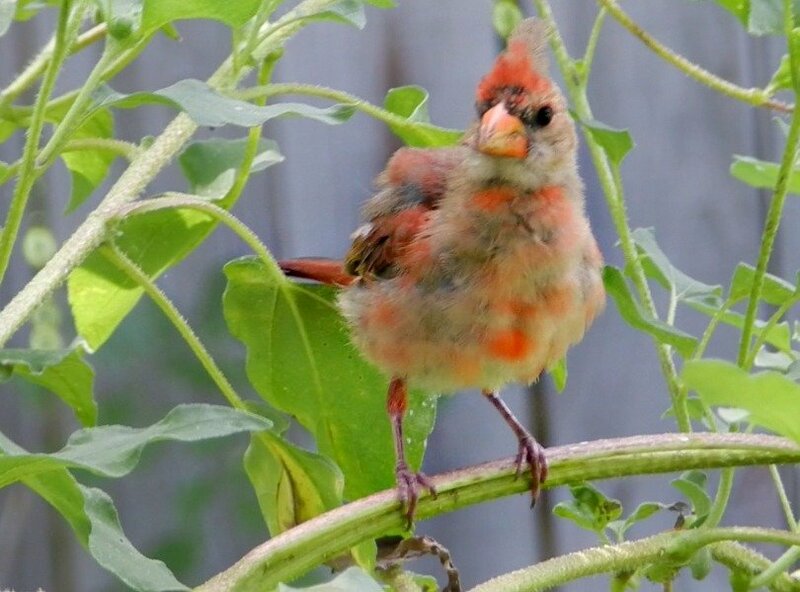 I'm trying to determine whether this is a cardinal fledgling or the male is molting. Interesting as I've followed them for so many years and have seen them at both stages but never with the brown and red spottings. The whole picture is really lovely. Great colors! I like it!! !